The screen shot shows the camera signal with the tracked head, body and tail position. From the body point the blue line traces the animal’s movement. Just by view you can see how the animal rotates with a drift. The table on the left shows how all relevant data are presented in real time along with the track of the body axis that belongs to the last rotation. 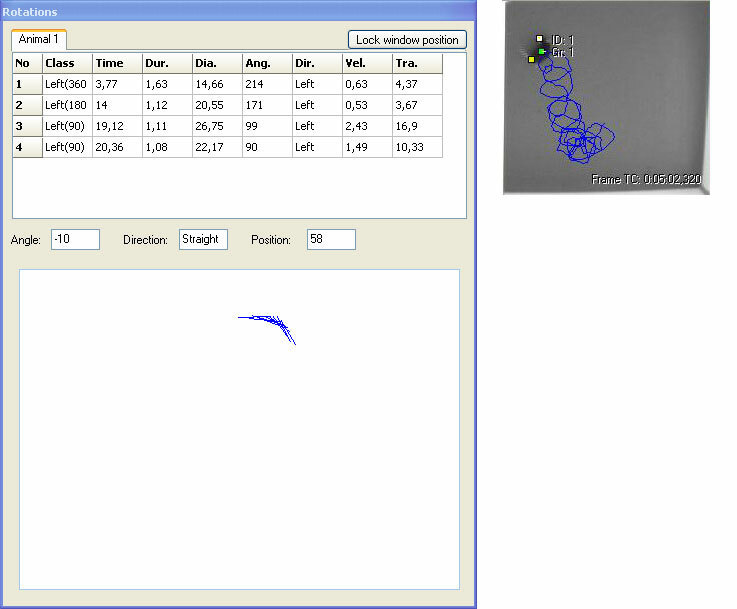 Take a look at a movie (13 MB) that shows how the software measures circling behavior in a rat.